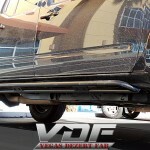 Our client came in from Palm Springs CA. 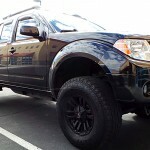 and wanted a prerunner bumper, rear bumper and some rock sliders for his 2011 Nissan Frontier. He booked his room and stayed for the week here in Las Vegas while we worked on his truck. 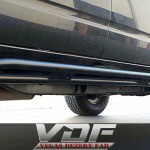 We started with rock sliders, after they were welded up, we cleaned the frame and welded them on. 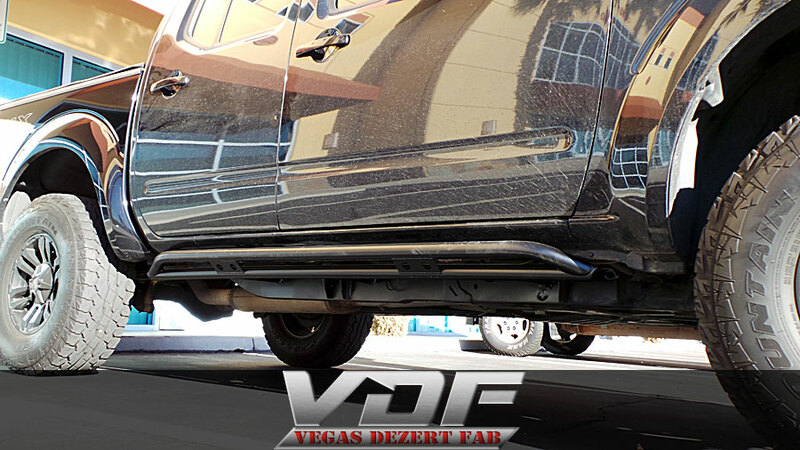 Next was the rear bumper. 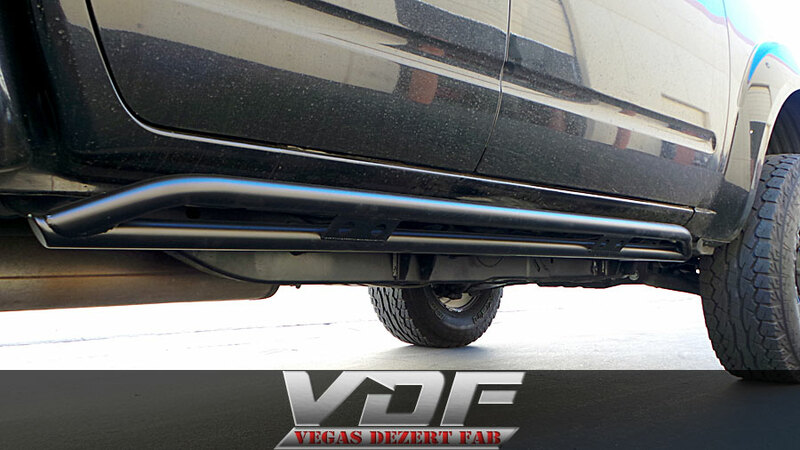 Our client wanted some protection for the rear quarter panels so we wrapped the tube around to give it the protection he needed. 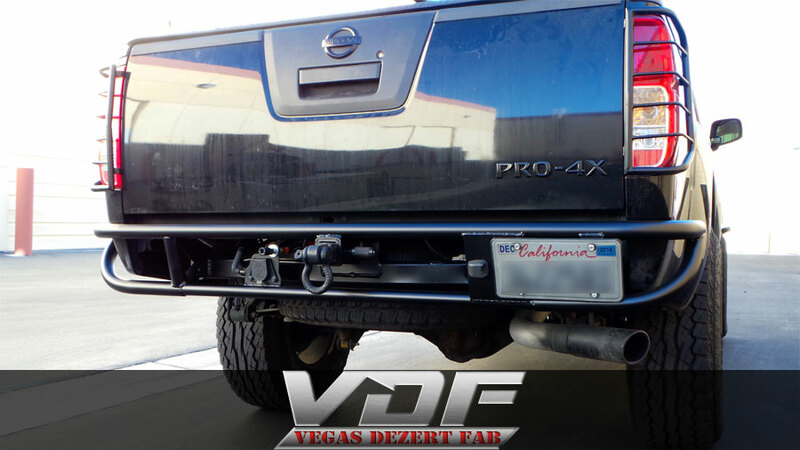 Another component to the rear bumper on this Frontier was to move the factory tow hitch up for more clearance. Our client also had an air line from the bed to the rear of the truck that needed a place to mount so we fabricated a mount for it and the trailer light plug. 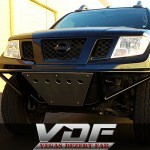 Next was the front prerunner bumper. 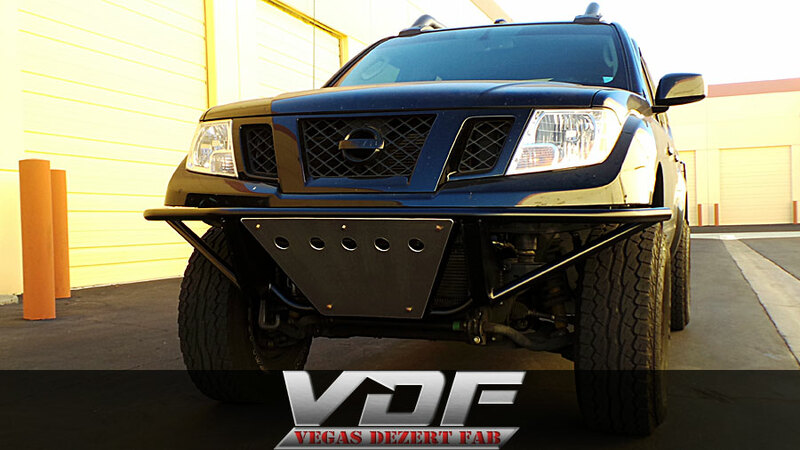 Now on this model Frontier the front bumper facia is all one piece so it needed to be cut to make room for the new bumper. Once we were done we picked up our client from his hotel and brought him back to the shop, and he couldn’t have been happier. He took a few cards with him so he could pass them on to his friends. 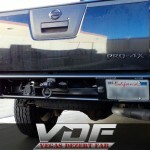 If you need a bumper made for your Frontier or any truck for that matter, contact us today. 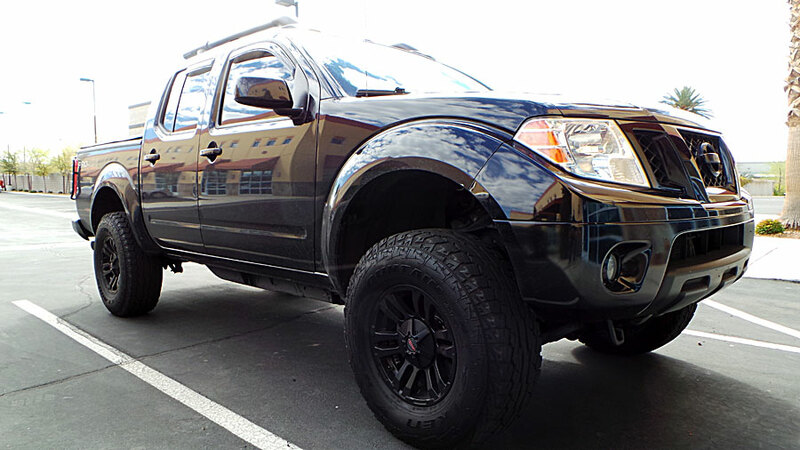 Tags: frontier, nissan, prerunner bumper, rear bumper, and rock sliders.